Also known as an IP PBX, Unified Communications System or business phone system, a PBX acts as the central switching system for phone calls within a business. PBX systems handle internal traffic between stations and act as the gatekeeper to the outside world. The initials PBX stand for Private Branch Exchange, a very old fashioned term for a system that has evolved significantly over the past century. Top Tech Solution offers a turnkey PBX system. Our product combines a core engine with an intuitive user interface and advanced Unified Communications features like instant messaging, universal inbox and fixed / mobile convergence. 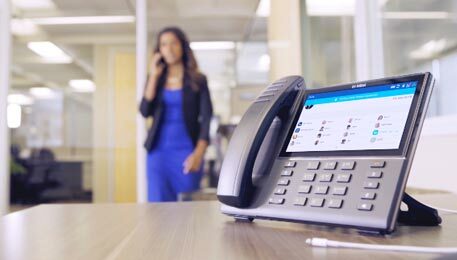 Priced at a fraction of what you would pay for a traditional phone system.